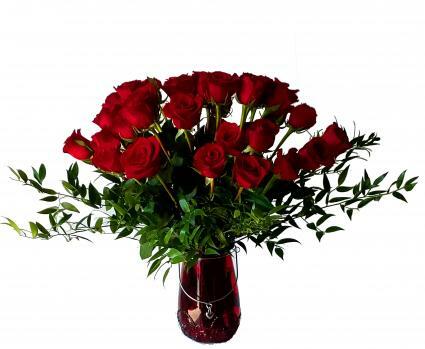 This gorgeous 24 red roses with magnificent arrangement, it will be a unforgettable surprise in Valentine's day. 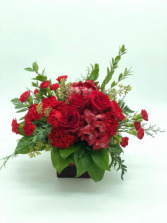 Este hermoso ramo de 24 rosas rojas con magnificent vase será una sorpresa inolvidable en este San Valentin. 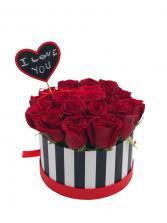 Flirtatious arrangement in Valentine's day, it fits perfect for this day. It will be love at the first sight. 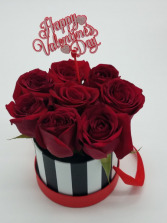 This beautiful detail for that human been that you love send this 8 Fresh Red roses in a box in Valentine's day. She or he will love this surprise. Este hermoso detalle para ese ser humano que amas, envia estas 8 rosas rojas en caja en San Valentin. le encantara esta sorpresa.